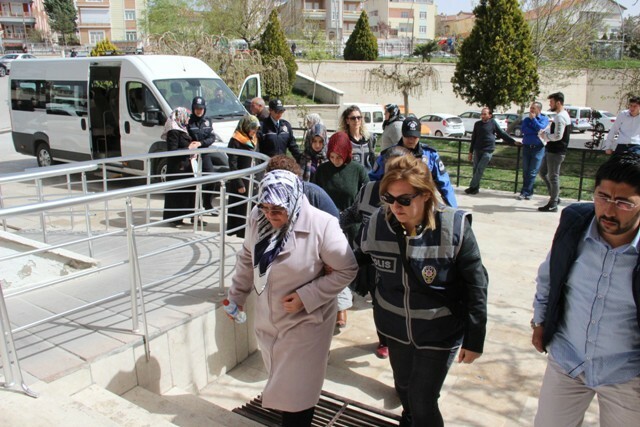 At least 13 women were detained over their suspected ties to the Gülen movement in a Karaman-based investigation, media reported on Tuesday. Karaman Public Prosecutor’s Office issued detention warrants for 18 women over their participation in the Gulen movement’s activities on March 22. Police carried out operations in 11 provinces and have detained 13 of them so far, according to media reports on Tuesday. Out of those 13 detained, 5 were later released on judicial control. Turkish government blames the Gulen movement for the failed coup attempt on July 15, 2016 while the latter denies involvement. More than 160,000 people have passed through police custody, of which 60,000 were remanded in prison pending trial over Gulen links since the summer of 2016.